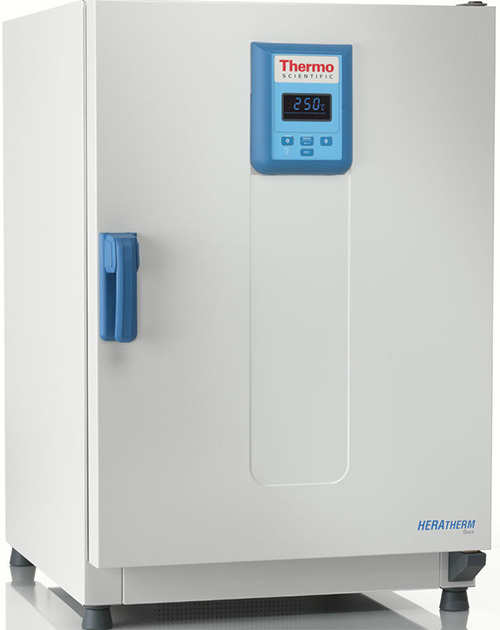 Thermo Scientific Heratherm ovens feature an environmentally friendly design with cost savings in mind and temperatures up to 330°C. Standard features include a stainless steel interior, automatic overtemperature alarm, an easy calibration routine, and RS232 interface. Drying processes are essential to various workflows in the laboratory and many times, vacuum drying is needed for delicate samples at low temperatures. 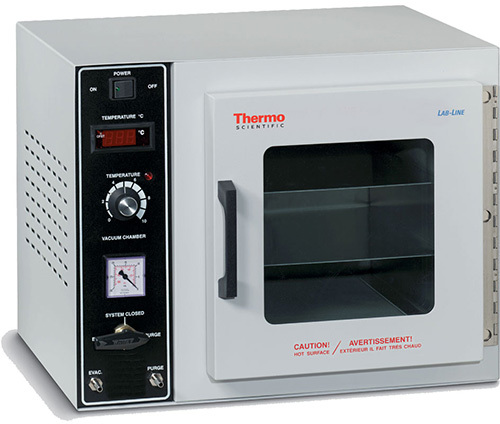 Offered with various temperature ranges and sizes, Thermo Scientific vacuum ovens are designed with safety, reliability and efficiency in mind--and offer features that tailor to your specific applications. 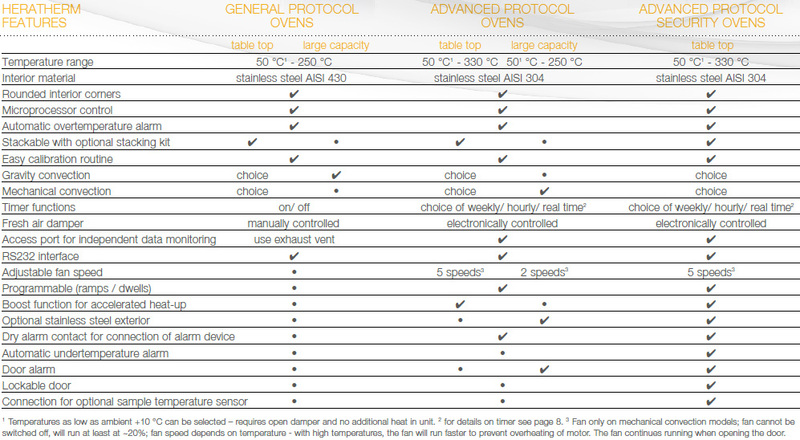 Heratherm convection ovens come in three categories offering different features: General, Advanced, and Advanced Security Protocol. See the chart below for details on the difference between these categories. General Protocol ovens are perfect for routine daily work, providing the ideal heating and drying solution for your applications. Some standard features include a stainless steel interior, automatic overtemperature alarm, an easy calibration routine, and RS232 interface. Advanced Protocol ovens incorporate all the benefits of the General Protocol ovens and boast additional features providing even more flexibility, accuracy, and dependability. Additional features include advanced Timer functions, dedicated access port, adjustable fan speed, programmable (ramps / dwells), Dry alarm contact for connection of alarm device. Advanced Security Protocol ovens incorporate all the benefits of the Advanced Protocol ovens with an extra layer of security for applications where process reliability and security are paramount. Additional features include Automatic undertemperature alarm, Door alarm, Lockable door, Connection for optional sample temperature sensor.